Recently, we released a report on data from the National Highway Traffic Safety Administration (NHTSA) that showed fatal car accidents, particularly related to drunk driving crashes, had declined for the sixth straight year and fallen to a 60-year low. Unfortunately, however, the NHTSA recently released an updated report indicating that following six years of decline in motor vehicle accident deaths, traffic deaths through the first nine months of 2012 increased significantly from the year before. 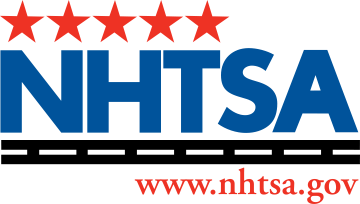 In the early report, the NHTSA revealed that an estimated 25,580 people were killed in traffic collisions during the first nine months (January through September) of 2012. The count was a 7.1 percent increase from the 23,884 during the same period in 2011. It was the first year since 2005 that the number of deaths reported during that time span did not decline. The rebounding economy, according to officials within the NHTSA, is one contributing factor to the increase in deaths. People drove more miles in the first nine months of 2012 than they did the year before, which makes for a higher probability of motor vehicle accidents in general. Overall, though, NHTSA officials say it’s too soon to determine what else may have significantly contributed to the increase in deaths. For the first nine months of 2012 at least, Adkins’s explanation appears to be accurate. The number of vehicle miles traveled during the nine-month period in 2012 was 14.2 billion higher than the previous year, making it just a .6 percent increase. The NHTSA’s report didn’t necessarily break down fatalities on a state-by-state basis.